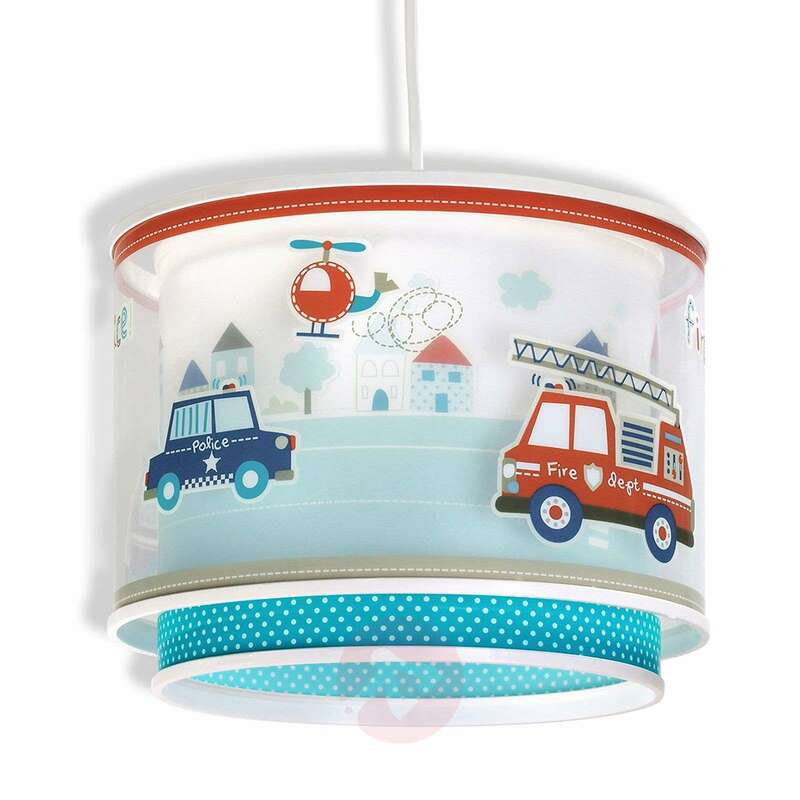 Policemen and firefighters are the great heroes of young boys. 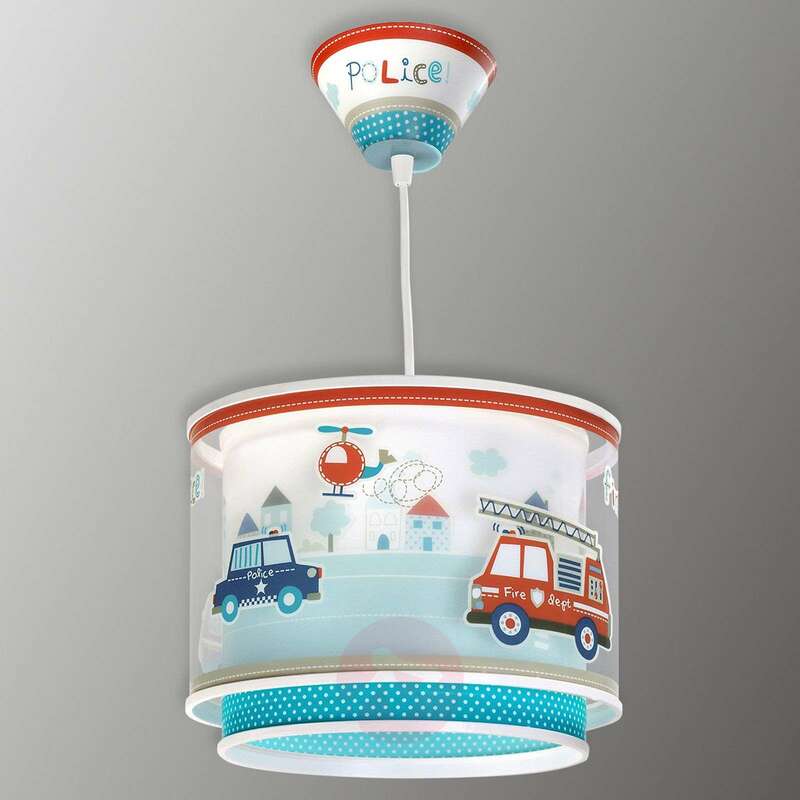 With images of helicopters, police cars and fire engines, the Police hanging light will excite any child. 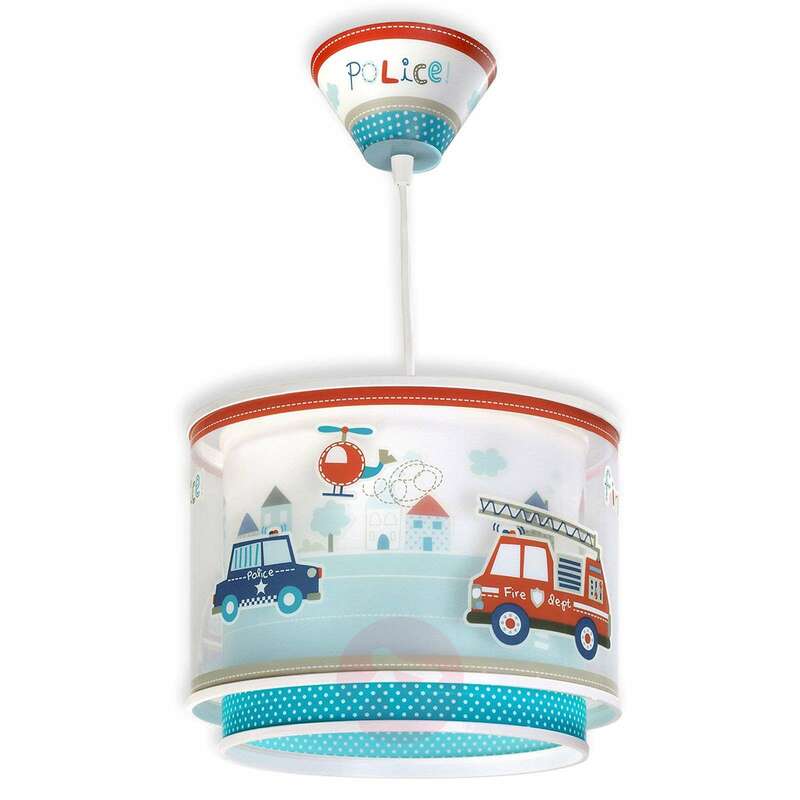 Boys can dream of their dream job on a daily basis with this light, and will be well-looked-after as they play and sleep. 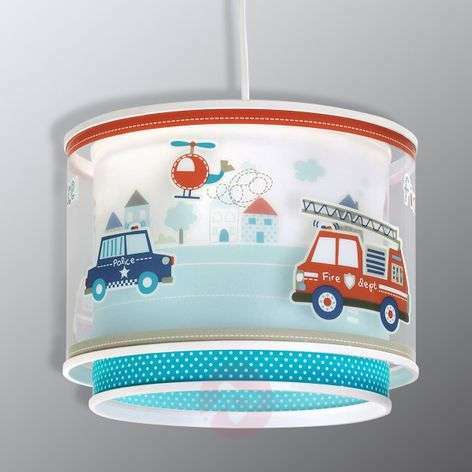 The hanging lamp has a special feature: When the light goes out at night, the colourful motif lights up.